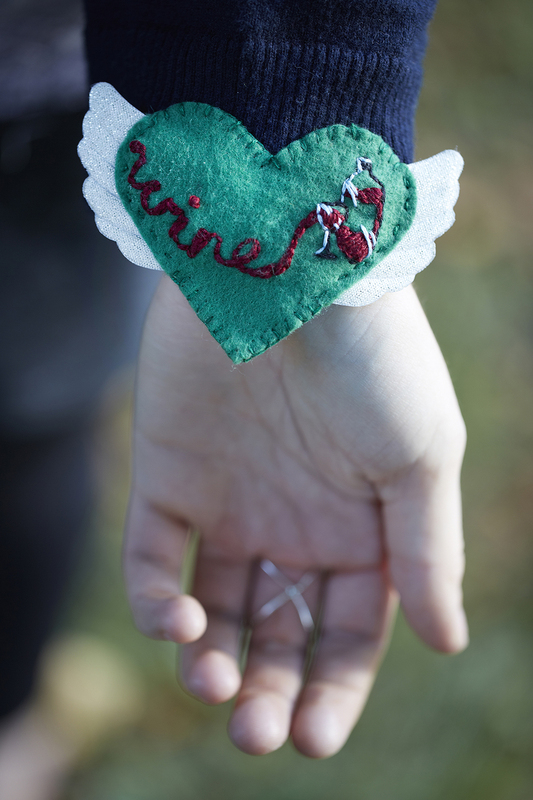 We are calling on Craftivist to #showthelove for our world this Valentines day. 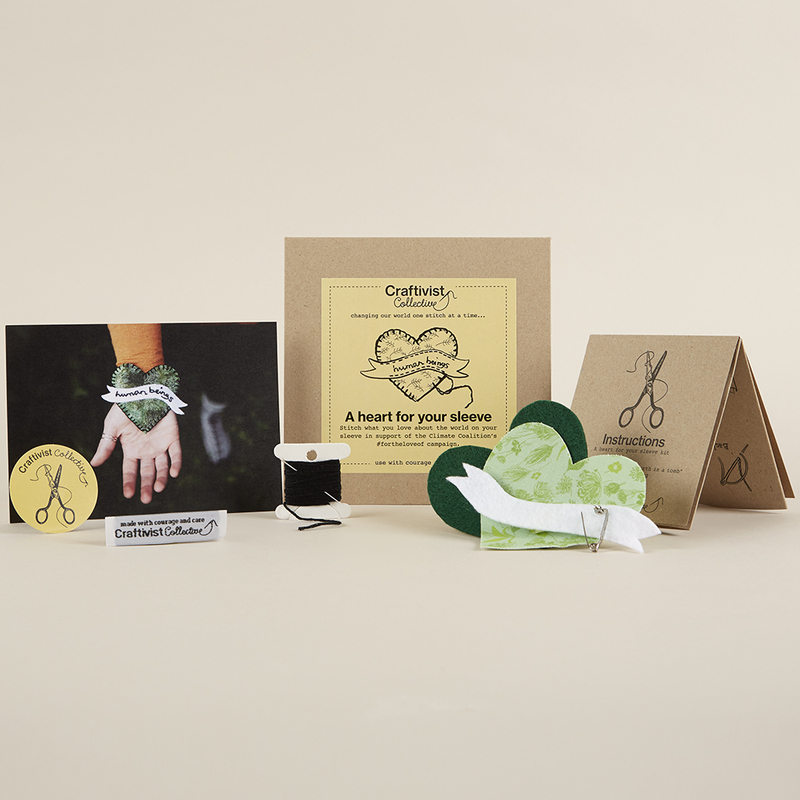 We’ve made special craftivism kits especially for this project you can get here. 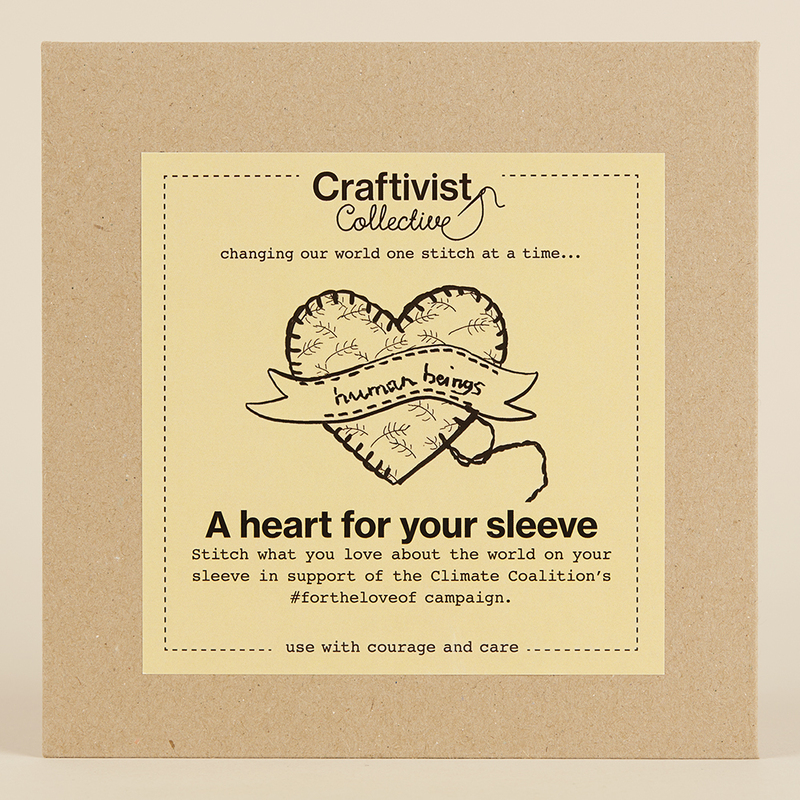 You can take part on your own or get together with friends to make your hearts for your sleeves, give the kit as a Valentines Day gift or even give a completed heart as a gift to your loved ones or politicians to encourage them to join the climate movement. A historic global climate deal was reached in December 2015 in Paris. 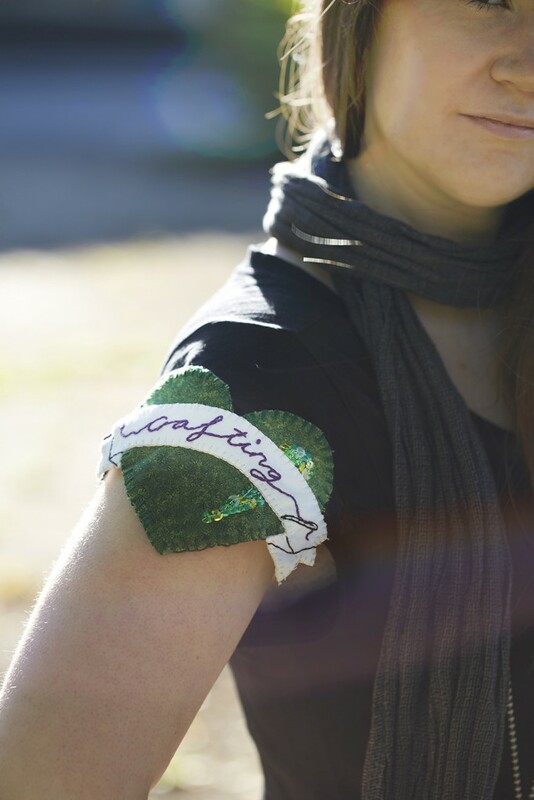 Thanks to those who of you who took part in making and wearing your green hearts on your sleeves #fortheloveof things we love that are or will be affected by global warming. Some of you even wore your hearts at climate marches happening across the world which was ace. You truly did help make this climate deal happen. It’s a rare and genuinely historic step forwards in tackling climate change together, around the world. More on the agreement is here. Continuing our craftivism campaigning with The Climate Coalition help a 100% clean energy within a generation (it’s 100% possible! ), we need your help this Valentine’s Day to keep the pressure on our governments and businesses to show love for our planet and everything in it and prove that they are implementing the climate deal. Once again people across the world are coming together to turn hearts green and #showthelove for the people, places and life we want to protect for generations to come. Wear a heart for the fields where you walk, the foods you love, for the bluebells and bumblebees, for all those things we could lose. 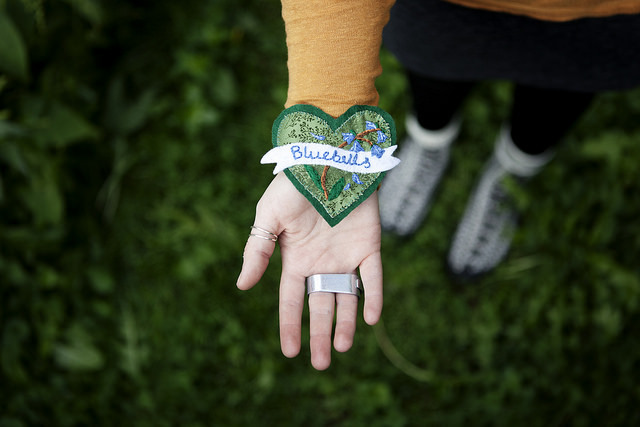 Beautiful and intriguing, your handmade craftivism hearts really do make a difference. In February 2015 their loveliness helped millions of people connect to each other in the climate movement, helped create conversations around how we can all tackle climate change and visibly showed world leaders that we care and demand they create a strong climate deal in Paris in December 2015.